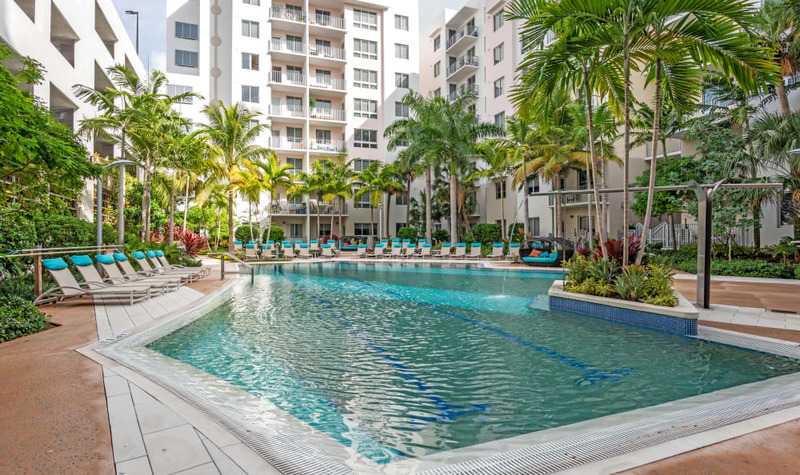 Welcome home to the beach life at Loftin Place Apartments. 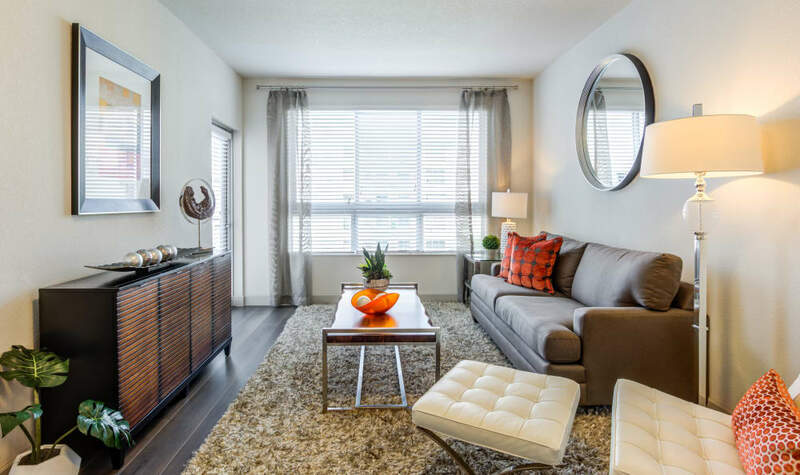 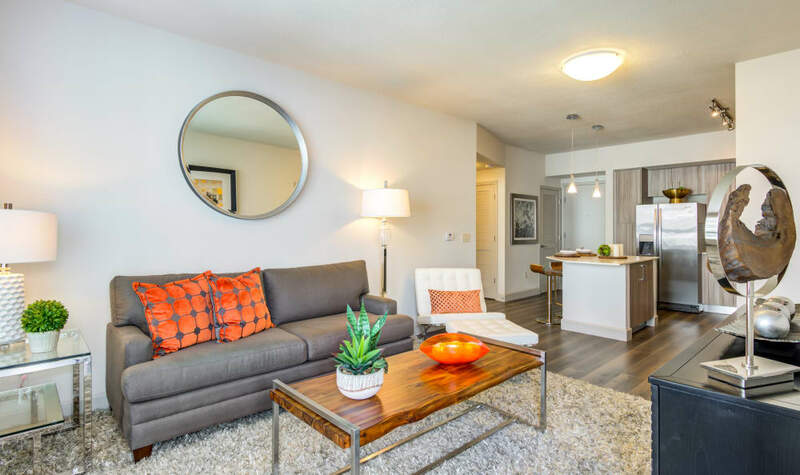 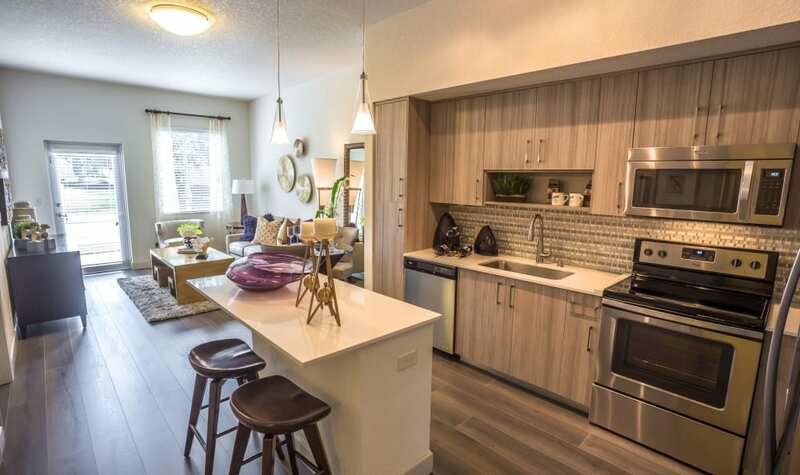 Our pet-friendly studio, one, and two bedroom apartments are offered in a variety of floor plans designed to provide the luxury living you’ve been looking for. 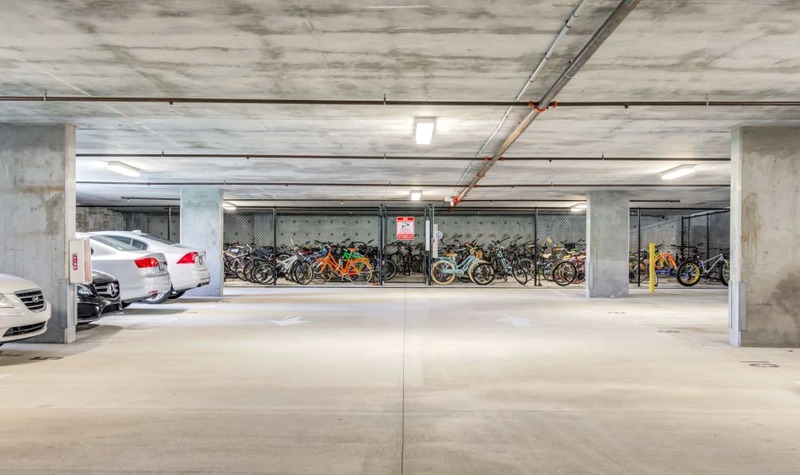 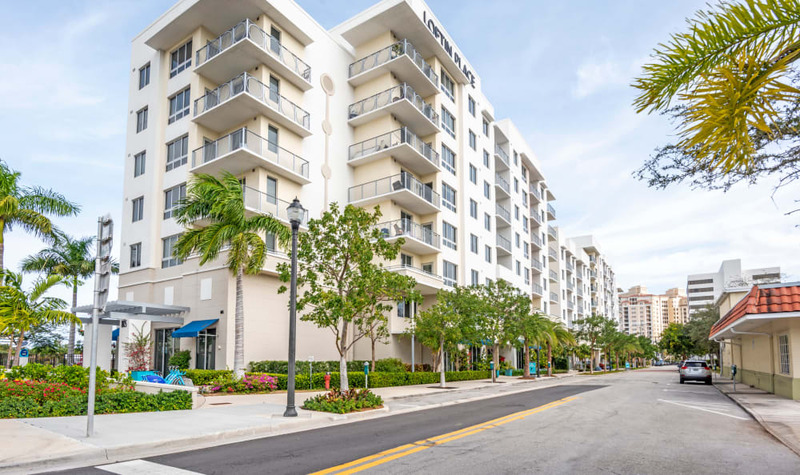 For days away, you’ll enjoy easy access to Flagler Memorial Bridge, putting the beautiful shores of Palm Beach Island within easy reach, while all the dining, shopping, and entertainment options of CityPlace mall are just a short drive away. 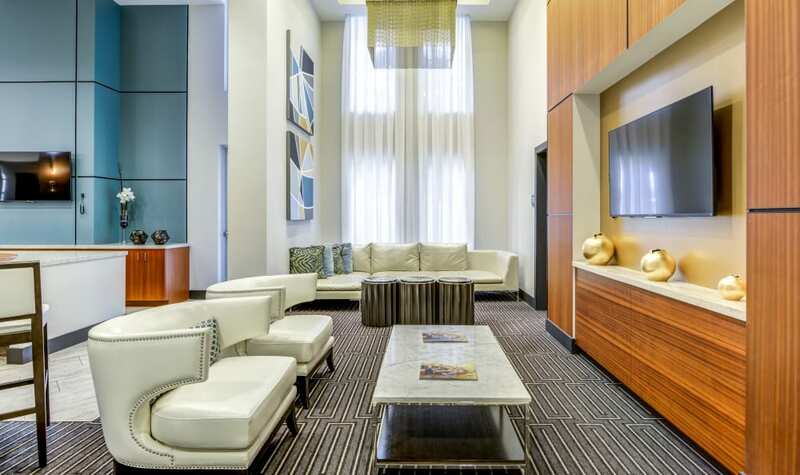 Back home, you’ll love being part of a vibrant community of fellow staycationers, celebrating every day in a variety of different ways. 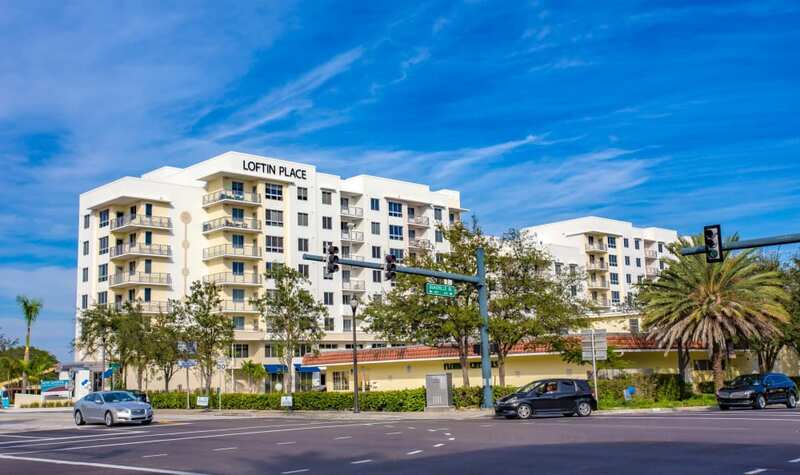 Loftin Place Apartments is your ideal exotic getaway in downtown. 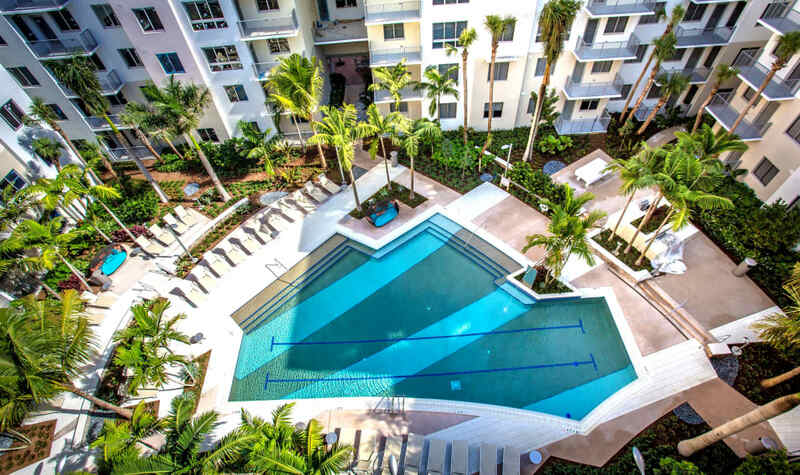 As you flip through our photo album, imagine the vacation life every day at our unique resort-inspired community. 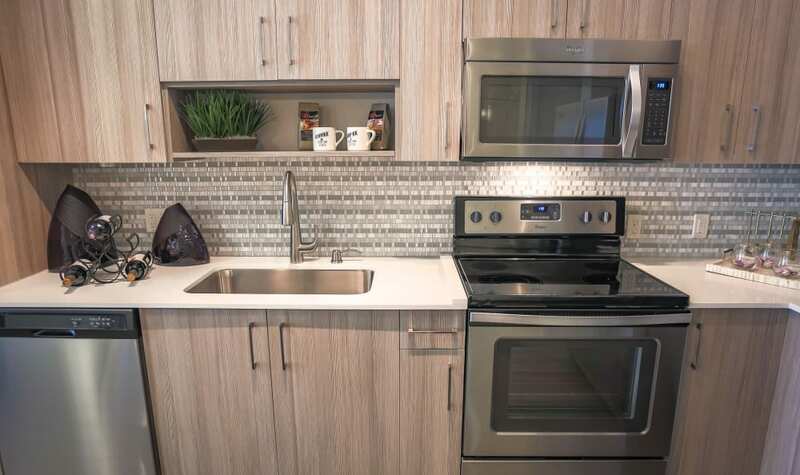 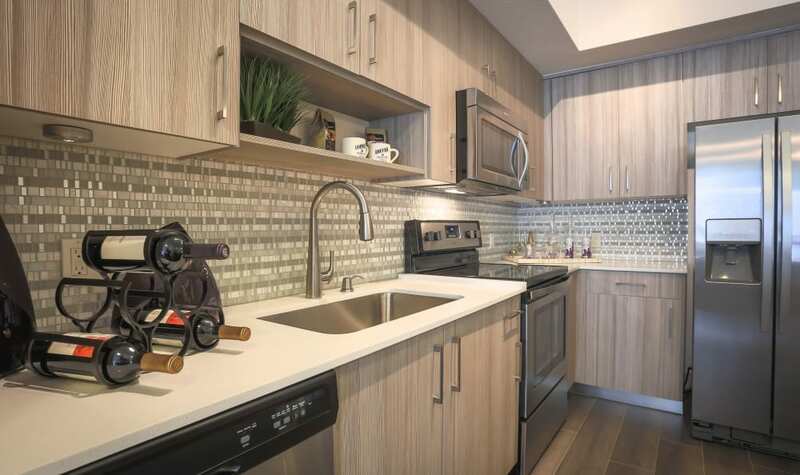 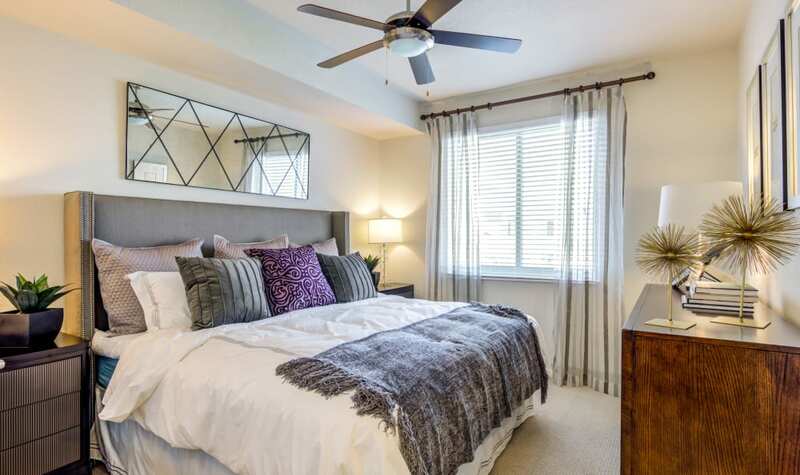 Spacious floor plans feature upscale elements like chef-inspired kitchens with custom cabinetry, polished quartz countertops, and sparkling stainless-steel appliances. 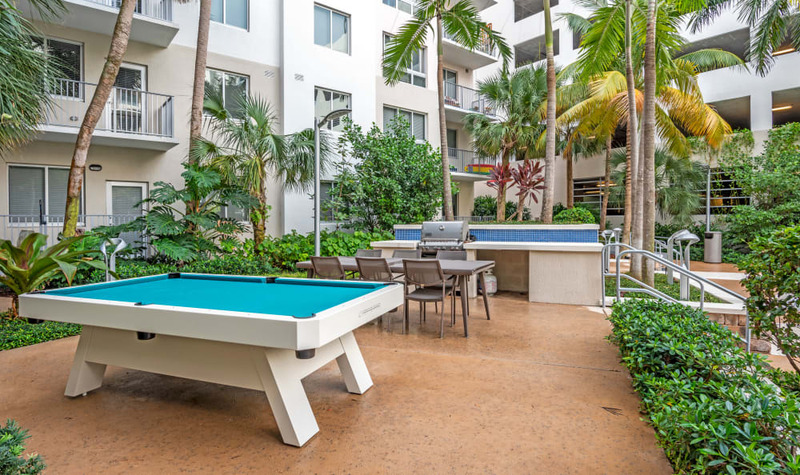 Beyond the walls of Loftin Place Apartments, private patios and balconies lead into a community designed for socializing and fun. 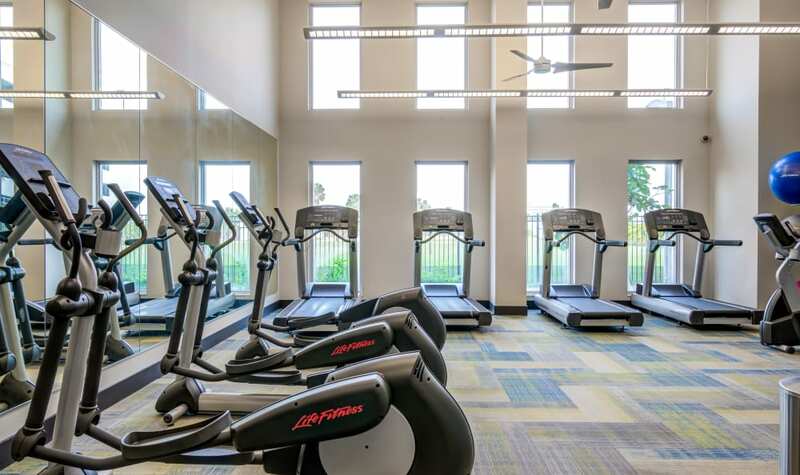 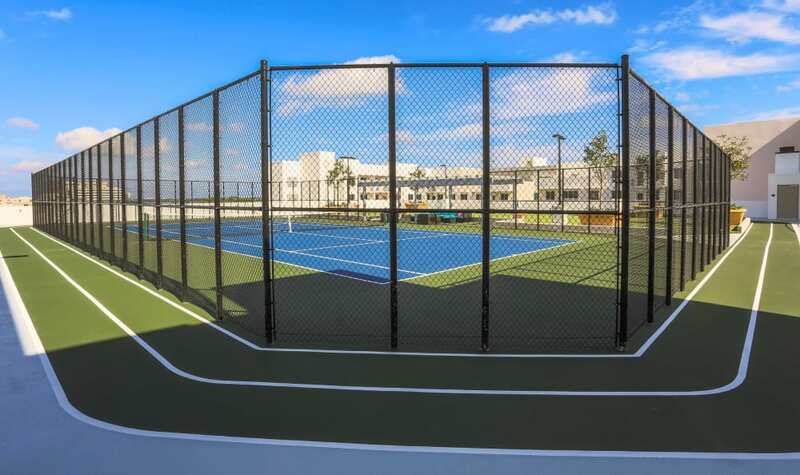 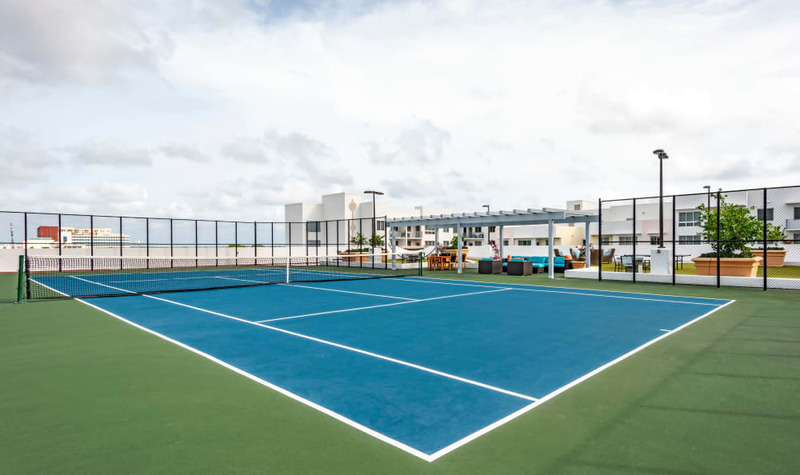 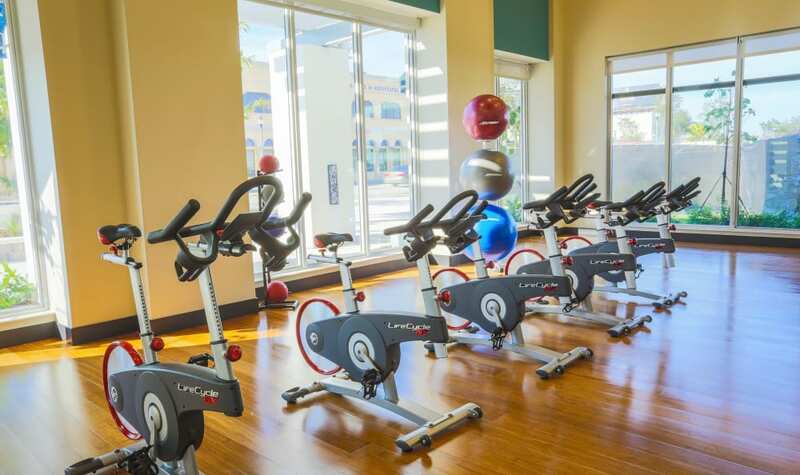 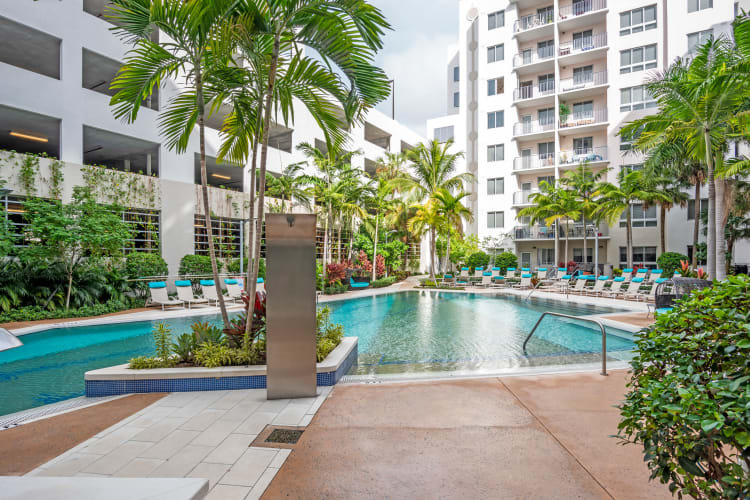 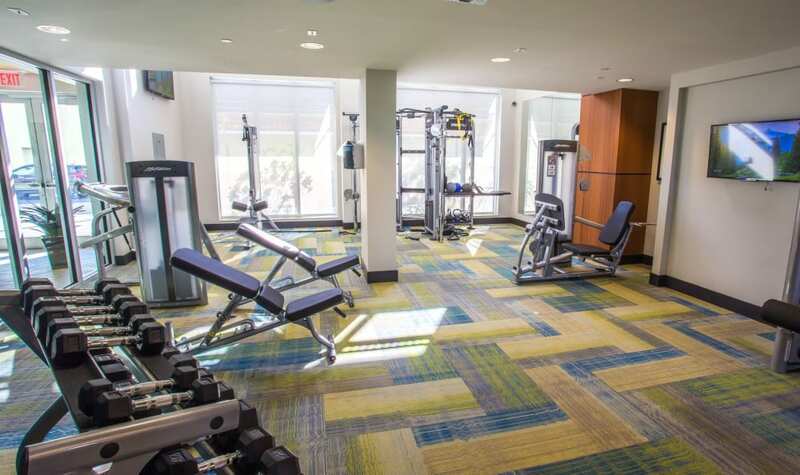 Take advantage of amazing amenities like a sparkling resort-style swimming pool, a state-of-the-art fitness center offering classes led by professional instructors, and a luxurious rooftop lounge offering tennis courts and more. 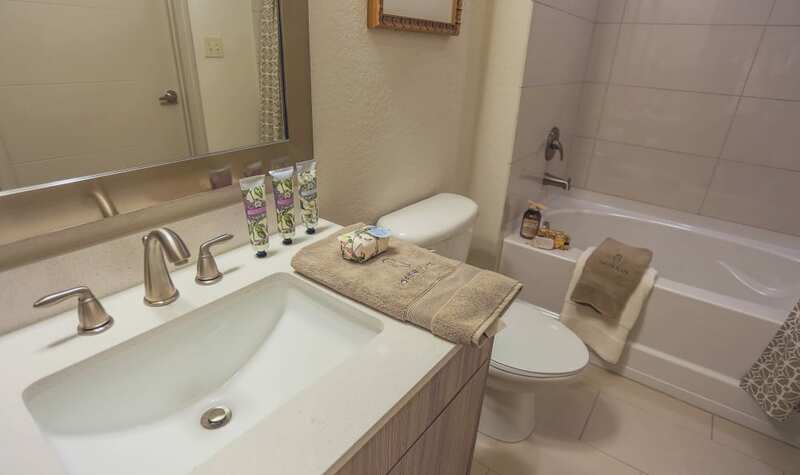 Your next vacation is waiting for you every day at Loftin Place Apartments. 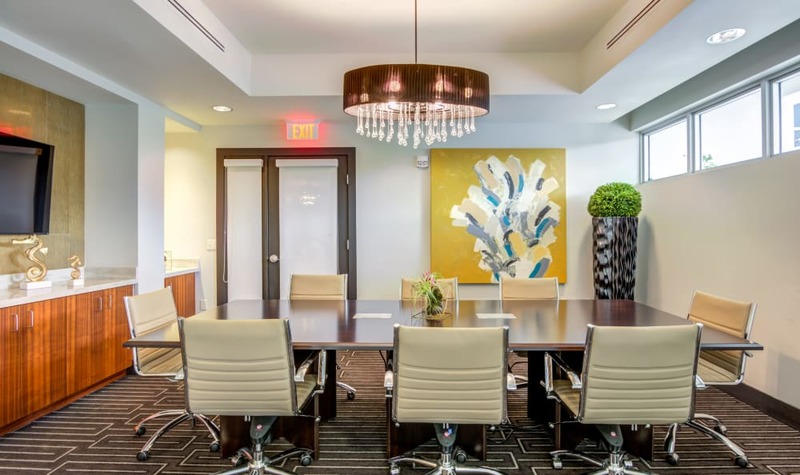 Contact our friendly team today to schedule your visit.